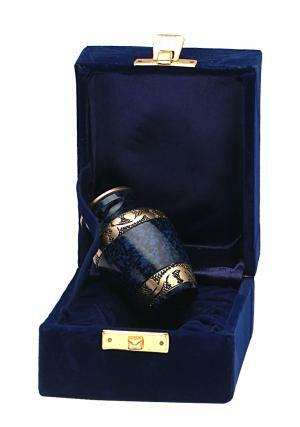 This highly crafted handmade Blue Band Keepsake Urn is made with solid brass. With a base of blue and black textured pattern it has two golden bands one at the bottom and at the neck base. This round elegant urn is the outcome of the hard work of our highly creative and experienced craftsmen. They make their artistic creation with love and passion which can be seen in the finish and grace of this urn. The golden bands have floral pattern engraved on them. 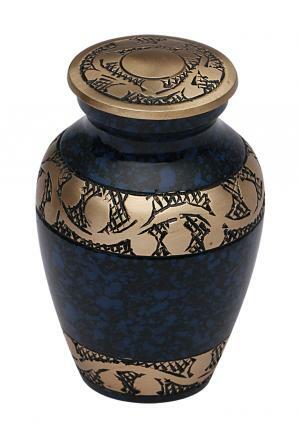 This urn comes with a secure screw top lid of golden color which matches the color of band. 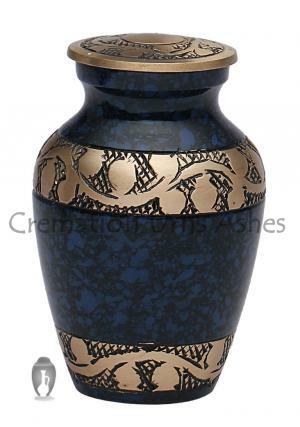 It also embraces the urn with the floral pattern on the top of it. 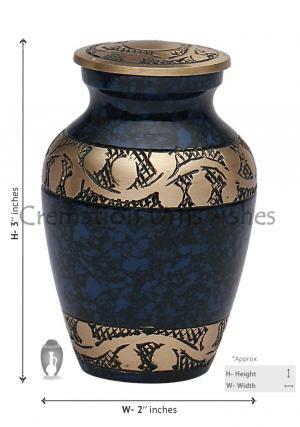 This urn measures approximately 3" X 2" Height x Width in dimensions and around 0.3 kg in weight. The brass material gives it strength and durability. 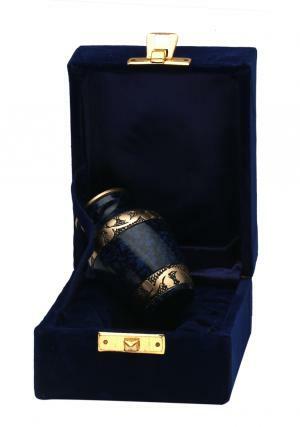 Even if you move your home, you can move the memories of your loved ones in this urn safely with you. 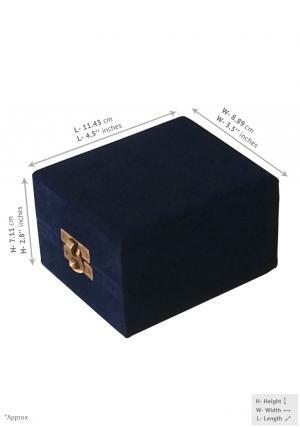 This urn is presented in a high quality handmade velvet box. It’s a very elegant and attractive piece of art to keep the memories with you forever.